The new Ikonoklast Model 3 High Output loudspeakers look exactly like the older one, but when you listen to them, they sound like everything you had wished the old Model 3 could sound like and more. So I want to share with you this incredible new speaker. I have now lived with the original Ikonoklast Model 3s as my reference speakers going on two years. Reviewing is a funny thing; when people hear about my Shindo preamp and Wavac amp, I get a lot of respect from most similar-minded individuals. Then, the fact that I listen almost totally to vinyl is also respected by some, although sometimes it makes reviewing integrated amps and preamps with no phono stage a challenge. But, nothing has been a bigger source to make people roll their eyes and come to me with “what did you say” when they hear my reference speaker is the Ikonoklast model 3. Well, that is until they find out the pair only costs $4,000. Now, to be honest, retail on my reference speaker system really is just a few dollars over $7,000: $4000 for the Ikonoklast, $2495 for the Murata ES103a Spherical Super Tweeters, and $580 for the Sistrum SP-004 stands which brings my speaker system to $7075. I will talk about these later in the review; and while the Ikonoklast is an incredible speaker without them, these two additions really complete its sound. I promise you: I’m not closed minded. I have reviewed and listened to some speakers that have made me consider replacing my Ikonoklast, even though they were just a handful. I could live happily the rest of my life with either of the big Teresonic speakers, and that goes for the Auditorium 23 Solovoxes as well. I think, in heaven, there will be at least two listening rooms for Audiophiles who have been good. One will have an all-Shindo system with Shindo Latours in it. The other will have the perfect system for the Quad 57s in it. That’s the list that I can think of; and only with the Latours would I be willing to admit as better than the new Ikonoklast. Thinking about this, I took a look at 10 of my favorite peers’ bios to see what speakers others thought were of reference quality. What an interesting mix, a couple of DIYs, a pair of B&W Nautilus 800Ds, Tannoys, Reimer Tetons, Gamut T L-5s, Zu Definitions, Audio Note Es, and two pairs of Auditorium 23 Solovoxes. If you ask me, that’s a pretty interesting and mostly eclectic group of speakers, and I’ll put my reference system up against any of them, and I could be happy with all but a couple of them if they were mine. Well, I’m rambling again (what else is new. –Ed.) and I haven’t even mentioned the speaker that’s the subject of this review. A few months ago I got a call from Warren Gregoire of WGA. He was excited about his new updated version of the Ikonoklast Model 3. 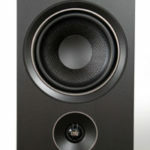 He said it was now 98dB efficient, and the omnidirectional tweeter now played further down into the midrange. Warren was excited, but I was worried. Granted that I’m not a speaker designer, but none of that made any sense to me. So when he showed up at my house and plopped off the old tweeter assembly and popped back on a nearly identical-looking one, I wasn’t sure what to expect; I do know what I feared though. I feared it would be too forward, too detailed, and not as natural sounding. Thank goodness, I couldn’t have been more wrong. 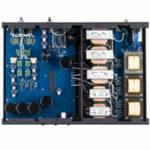 Indeed, they are easily three or four dB more efficient than the originals, and yes, just like Warren promises, you can hear the omnidirectional tweeter much lower in the frequency range. This allows the speakers to be much more spatially pure and omnidirectional. 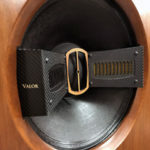 They sound even less like a traditional box speaker and much more like a line-source than they did before. Instead of the more forward sound I was worried about, we get instead a smoother, more solidified sound. They are somehow much more detailed, and even less etched sounding. Instruments and voices just appear in front of you in a very realistic acoustical space. They also play much louder without any hint of strain or vibration. 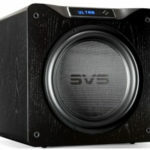 The improved efficiency seems to have made the speaker so much more dynamic, and in turn the improved dynamics give them so much more slam in the bass. I get so tired of saying I don’t understand why things sound the way they do, then again I really don’t. You just have to hear it for yourself. You must also hear what they sound like when a trumpet come cutting into a performance, or how startling a really well recorded rim shot can sound. Of course all these dynamics wouldn’t be much use if the speaker couldn’t play loud. Warren has greatly improved the mechanical damping of the tweeter assembly itself from the first pair of Ikonoklast speakers I heard. These High Output 3s can play very, very loud. The wonderful thing is they still sound better than ever like before, even at very low volumes. When reviewing the earlier version of the Ikonoklast I said, “these speakers have ahuge Dynamic Range.Where it differs from most is thatit starts at very, very soft. There is no need to turn them up to hear the softest of passages. They are as transparent at low volumes as they are at higher volume. Thus they have startling dynamics when the big passages come along.” What is different about the new Ikonoklast High Output speakers is that they can still start very, very soft; but they can now get very, very loud. The new tweeter design also improves micro-dynamics as well. This is the fastest speaker I have ever heard, but you will only know this when it’s called for. If you are listening to Belafonte sing ‘Danny Boy’, it will sound rich and full, but if you put on ‘Flight of the Bumble Bee’ or some really great Blue Grass music, they will sound lightning fast. I have come to see this speaker as a chameleon. When there is no bass on the recording, they have absolutely no bass of their own. If the recording is mono, they don’t spread the image. This quality goes throughout the frequency range, and can be a little hard to get used to for some listeners. The micro-dynamics of the Model 3 HOaren’t just world-class, they set new standards for speakers under $10,000 and stand toe-to-toe with speakers of any price. Strings were already one of the things the Ikonoklast played so beautifully that you would want to cry. Now, that beauty is more solid, more real, more relaxed, faster, and more dynamic all at the same time. The Model 3 HO can do this for a blues guitar, a standup bass in a jazz group, or a classical violin, they play all of them so naturally. You now hear the leading edge even faster with more dynamics, but you also hear more of the decay and air that should be around the instrument. Another thing I notice is how much more obvious acoustical space around the instrument is to hear. 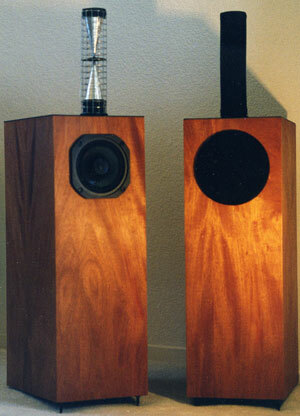 The soundstage of the original Ikonoklast speakers was the kind I would always be looking for. They had, what I have now come to call, a cohesive soundstage. A cohesive soundstage never sounds like notes coming at you from way back there, or somewhere over there to the left or right of the speakers. No, a cohesive soundstage will let you hear three-dimensional instruments coming from a believable three-dimensional space and be held together by a quality of silence. This is very different from the audiophile soundstage that while very beguiling at first, in the end distracts from the performance and the music. The new High Output Ikonoklast does this just as well, but the soundstage is more solid. There was always something very right about how music seemed to float up out of these speakers instead of being pumped out at you. Now that the tweeter plays more in the midrange area, this is even more special. It creates such a solid lifelike soundstage. I continue, after two years, to find it shocking how they let a good pipe organ fill your room with air and music, and the way they float a choir and organ in the space in front of you is just unbelievable. For our readers who need to know, there is no doubt that the new Ikonoklast have more soundstage width, considerably more depth, and the most obvious is how the vertical stage has improved. But for me I’m always more concerned about scale than soundstage. Scale matters even more on Mono. It is here that the improved solidity of the new Ikonoklast really shines, and it is so wonderful how the Ikonoklast produces such accurate scale at any volume. There is one more thing I need to say, and that is the Ikonoklast’s under soundstage is as good as any. There is no doubt that the new Ikonoklast let me hear more of the environment of the recording than I ever knew was possible. Both the Ikonoklast 3HOs and the Clearaudio Anniversary Reference turntable excel at this special ability and, together, it is amazing to hear. When listening to Muddy Waters sing the blues, I had never heard such micro-dynamics from any speaker, not an electrostatic, not a ribbon, not any other speaker. Add to this: I have never heard his voice sound so articulate and natural at the same time. And then the real bonus: My wife hasn’t come downstairs and said “turn that down I’m trying to sleep”, she usually finds Muddy Waters very hard to sleep through. Just listen to the first cut of the Beatles’ Love album. You will be shocked at the air, detail, and sheer beauty. Compared to the early version, the Ikonoklast HO’s let you hear so much of the things going on in the intro. In my review of the Ikonoklast Model 3, I said, “How do you describe a speaker that often sounds like it has no bass at all and then along comes a bass instrument and you hear the best bass you’ve ever heard from recorded music. I think this is because the Ikonoklast do not store up any bass energy nor do they add any warmth of its own”. Without a doubt the most remarkable thing about the original Ikonoklast Model 3s was their bass. I was greatly concerned that a change only in the tweeter would somehow affect this negatively, and again I could not have been more wrong. Positioned correctly, the bass of the Ikonoklast HO’s is even faster, more awesome, nimble, and natural than the originals. These qualities allow the bass transients in the lower range to have details seldom heard, other than in live music. The Ikonoklast’s have a way of demanding you to pay attention. It’s kind of like certain performers or performances bringing you to the edge of your seat. I always thought, after listening to the Ikonoklast for a long time, you learn to appreciate how remarkable the bass is. To my surprise, the Ikonoklast HO’s are even more remarkable. With the originals, sometimes the bass had a little less visceral power than I was use to, but the HO’s are substantially improved in this area. As wonderful as the midrange and top-end of the Ikonoklast HO’s is, when I put the other speakers in the system, what I missed the most about the Ikonoklast is their bass. I don’t know if I will ever understand what it is about supper tweeters (in this case a faster, better tweeter) that improves the overall performance of speakers, but again it has proven to be the case. The bass of the HO’s is just remarkable. In my review of the original Ikonoklast Model 3, I also said, “If it wasn’t for Google I would not feel this part of the review was necessary. I feel I must address this issue though because if you Google Ikonoklast speakers, you will find two older reviews of an earlier version of the Ikonoklast speaker. In these early reviews they loved the speaker, but had a hard time getting past the point that they didn’t play as loud as most full range speakers. One reviewer even went so far as to say Mr. Gregoire was trying to dictate what kind of music he listened to. Almost all speakers allow you to enjoy some category of music more than others. Like I said, there was no need to talk about the volume the Ikonoklast will play, but I tell you the new H0s will play much louder. There is surely nothing to talk about now. Congratulations are in order for Warren and WGA. They have taken what I already thought was the best buy in high-end speakers and really upped the ante. Well done, and highly recommended.